The March Newsletter is a Good One! Our March Newsletter is out now and features unique people who create art, strengthen our community and contribute to the building of meaningful relationships for us all. I also answer the age-old question of whether unicorns exist or not. Thanks for checking it out! Matthew Mohr, the artist behind the creation of the piece "As We Are" is featured in this month's newsletter. 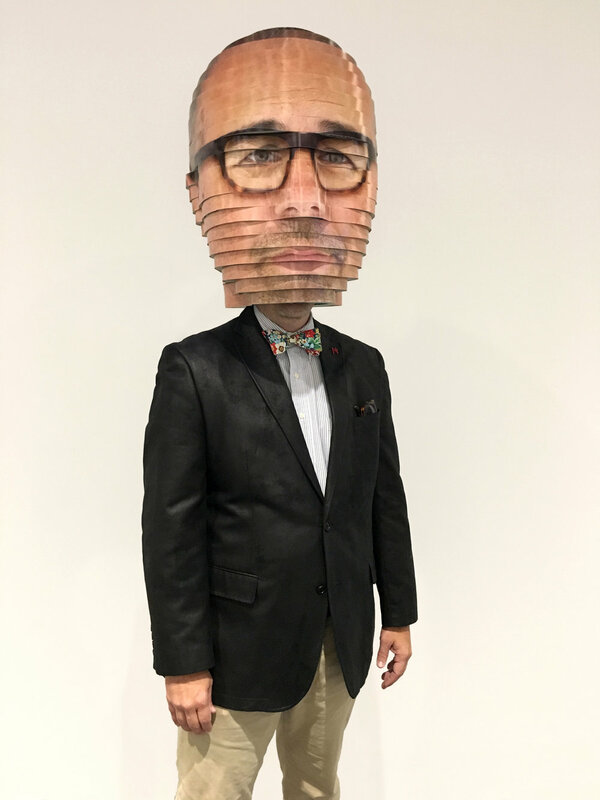 He is pictured wearing a mini-replica of his own interaction with "As We Are." Newer PostCreative Mornings - Sandra Lopez on "Courage"
Older PostDMG+Thrive Hive & Google Partners Connect: Video!